Δελτίο τύπου: «Nordic Union is the successful collaboration, built by Frontiers President Serafino Perugino, between singer Ronnie Atkins of the legendary Danish hard rock institution Pretty Maids and the up-and-coming Swedish songwriter and producer Erik Martensson of Eclipse and W.E.T. fame. The partnership between the two Scandinavians came about sometime in 2015, when Atkins was sent a bunch of demos put together for him by Martensson. The enthusiastic reaction from Atkins sparked a brand new musical alliance that culminated in Nordic Union’s self-titled debut album, which was released in January 2016. Musically, the duo presented a hybrid of the more melodic aspects of Pretty Maids’ sound mixed with elements of Eclipse, Talisman, and W.E.T., while still possessing their own identity. 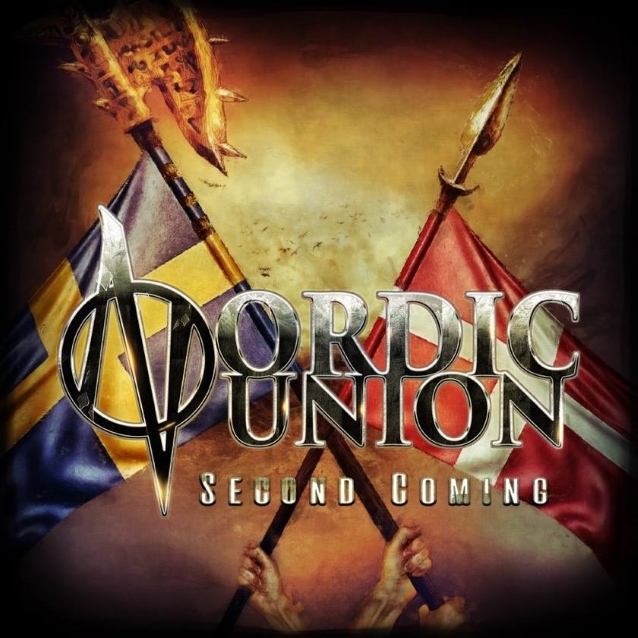 Following requests from fans for a follow up to the debut, the two musicians decided to give Nordic Union another shot, so after a few months production, “Second Coming” will land soon much to the delight of melodic rock fans worldwide! Every aspect of the album screams QUALITY. The songwriting is of the highest standards, the musicianship faultless, and the production top notch, crispm and clear as a bell. Ronnie Atkins continues to improve with time as he deftly demonstrates throughout the album that he knows how to use his voice effectively at any given point in a song.